Hope you all had a fantastic Christmas – ours was relaxing, and included some exciting family news! Surprisingly, not too much food was eaten… Though there was plenty of wine. Calorie blow out, but it could’ve been so, so, sooooo much worse. Which worked out well… No Christmas food hangover! No Christmas food hangover and my cold’s cleared up – a Christmas miracle! Feeling the fittest I have in days, I hit the road for a quick run this morning. Just around the block. Turns out that the further you are from the city, the bigger the blocks get. Keeps things easy though, it’s pretty hard to get lost when you’re running in a circle. Sadly, I’m back in the city tomorrow. But I like this new spin on things. 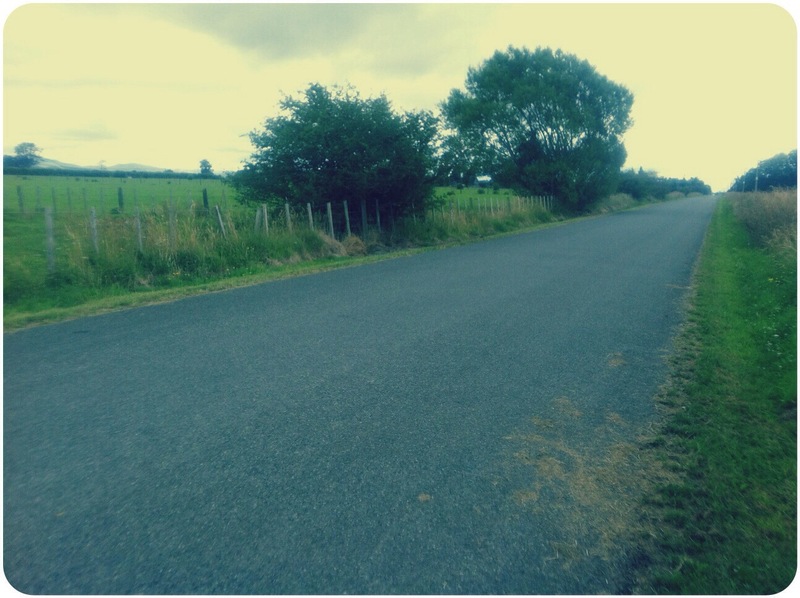 Loving the isolation, quiet and peace that comes with running country roads. I went to bed last night excited for my first ‘long run‘ in the lead up to my goal: half-marathon at the end of February. So you can imagine my anger, stress disappointment at waking up with a head cold worse than I’ve had in years. I feel like I’m constantly underwater. There was to be no running today. 15 hours on, I still feel like rubbish. 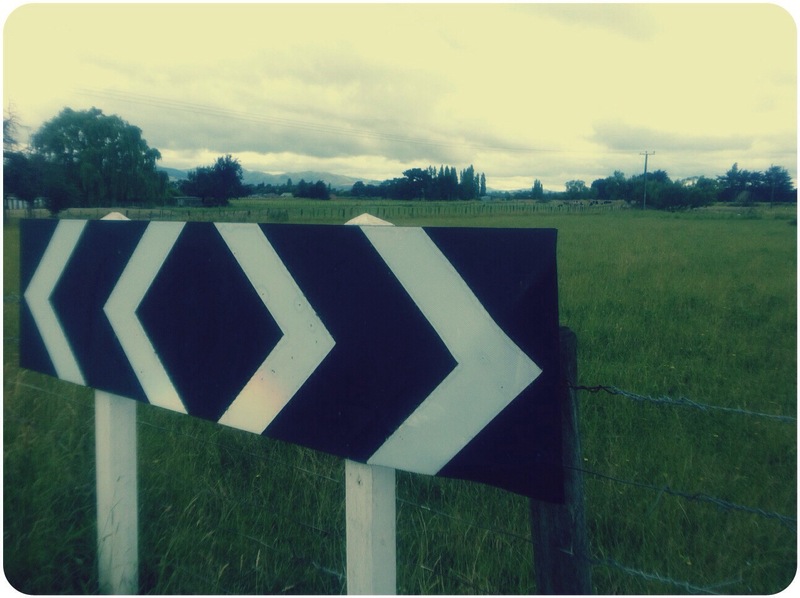 Hopefully it’ll pass so I can enjoy some countryside runs in the Wairarapa soon. I can’t help but feel that my body’s doing this so I have one more excuse not to train. Like I’ve done this to myself, somehow. Mum thinks it’s because my body’s finally finding time to relax, since I know I have the next three weeks off work. As much as I want to believe her, I don’t know if I can. Training is not going well. I’m rarely out on the road in my trainers. And when I am out, I can barely run ten minutes without my lungs burning to all hell. My personal best a few weeks back was a fluke. Complete and utter fluke. I haven’t been able to get anywhere like it since. I’m not saying I’m giving up, necessarily. Just that there is still a long way to go. Today’s officially my last day at work for the year. My office shuts down from Christmas, and we’re not expected back until the 13th January. That’s three weeks of time off that I can’t wait to make the most of. Last year, I used this time to travel around the US – exploring a part of the world I’d never visited before. It was a busy, full-on (and expensive) month abroad. I loved (almost) every minute of it. This year is going to be far more relaxed. Christmas with the folks. Daily runs with the dogs. Lazy afternoons in the sun. 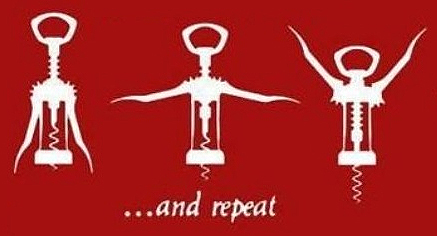 No doubt I’ll be lifting plenty of bottles of wine, too. Will consider that my strength work. Hope you’ve got a good Christmas planned, too! Backwards Running – it’s a thing! Hey, guys! I was about to write a post about how poorly I’m training and that I’d basically been going backwards when Google told me that Backward Running is actually a thing!. Mind blown. It’s not just something six year old girls or drunk teens do when trying to be funny. PEOPLE ACTUALLY TRAIN THAT WAY. From this, I read that you need to be a qualified ninja to even run down a hill. A qualified ninja! Like, with a diploma and everything. Backwards running: that sh*zz is the business. BONUS FACT:. Apparently ninjas just love running with aeroplane arms. Imagine that running downhill and ending in a flip! Christmas in New Zealand is great – sunny, and casual. BBQ dinners aren’t usual, and someone in the family almost always falls asleep in the sun after eating too much. Sunburn isn’t usual. Neither is a box full of empty beer bottles after lunch. Like everywhere else in the world that celebrates Christmas, it’s a day of temptation, overeating, and self-medicating with alcohol – family, am I right? I’ll be staying with my family for much of the break, at my parents’ place in one of the sunnier parts of the country at this time of year. While they’re not ridiculously unhealthy, they’re not ones to prescribe to a off-to-the-gym-and-a-salad-for-lunch lifestyle. My brother’s of the knife-throwing, archery, and upper-body training persuasion. The rest of us… sit around and eat. I plan on doing a fair bit of running. Take the dogs out for a bit of an explore – they’ll love it. But it’ll be a bit of a change for me – running on country roads, in the heat, with a companion. I’m looking forward to it… but it’s going to take some getting used to. I imagine it’ll be very different to the clean footpaths, overcast weather and cool temperatures here in Wellington. Or the treadmill in an air-condition gym, surrounded by the buff and motivated. Any words of advice for the changes? Or am I making mountains out of mole-hills? What are your plans for the Christmas break?